Model QES1512-218 12.1 In LCD replaces Mazak C-3470, C5470NS and C-34770J – 14 In Color CRT Monitors used in Mazak CNC Mazatrol, Mitsubishi Meldas and Yamazaki machine. The QES1512-218 directly replaces Mazak CNC Monitors: C-3470, C-3470NS and C-3470J Mazak Monitor and is designed to drop right into the existing mounting brackets. In addition, the QES1512-218 LCD Display can replace your Mazatrol monitors, Meldas Monitors, Sharp CNC monitors, Yamazaki monitors and many others. 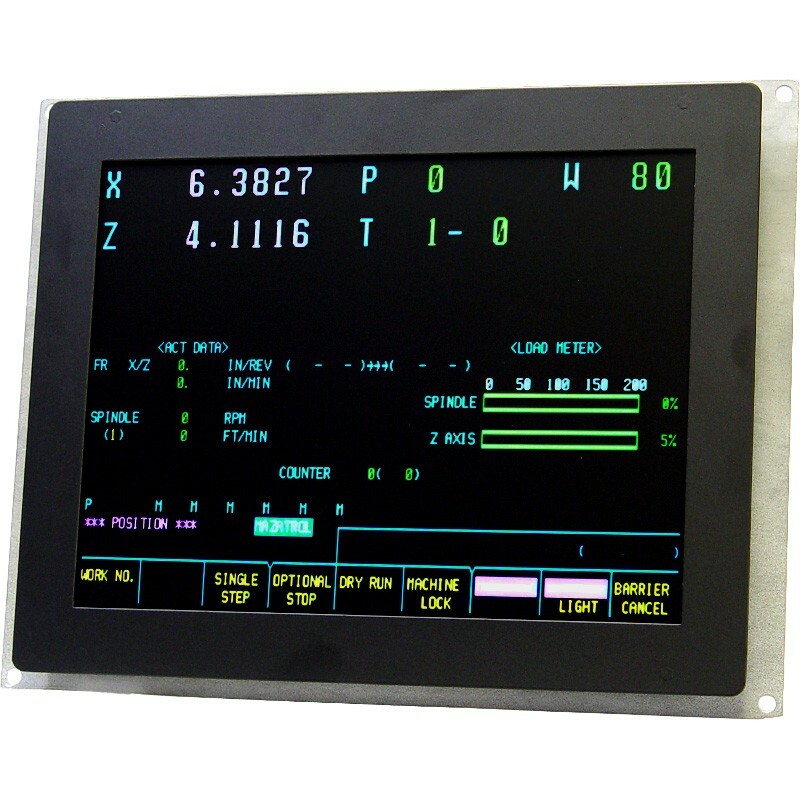 Check out Dynamic Displays Model QES1512-218 LCD display the next time you need a drop in replacement for your Mazak CNC Monitors. Whether you need a Mazak 14 In Replacement Monitor for your Mazak CNC Mazatrol, Mitsubishi Meldas and Yamazaki Machine, the QES1512-218 LCD display is the monitor to fit your needs. Upgrading your old console unit with a QES1512-218 Mazak 14 In Replacement Monitor is a cost-effective way of extending the useful life of your existing automation investment. 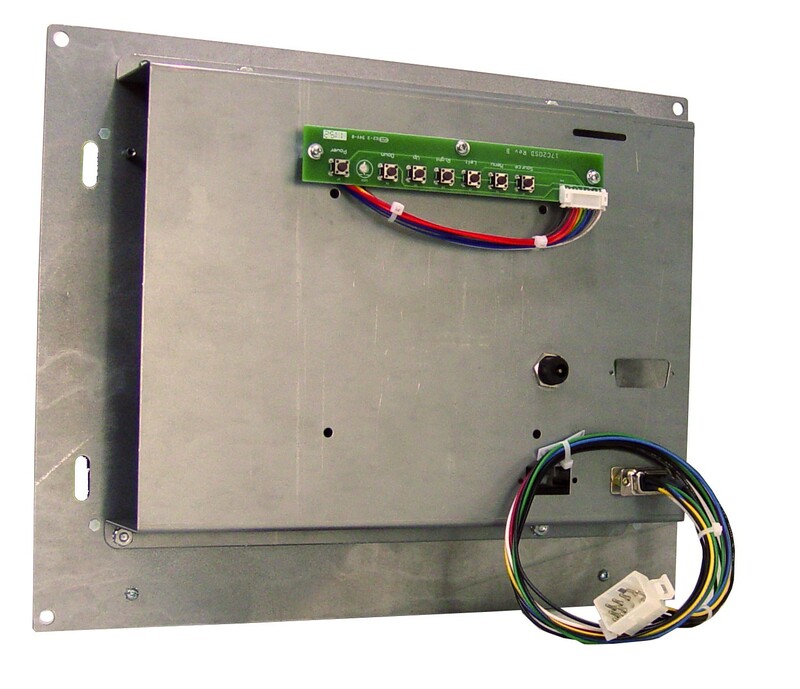 Replace your old, low-performance CRT display unit with a new, affordable, quality replacement LCD Flat Panel display. Direct replacement for Mazak C-3470, C-3470J and C-3470NS. Open-Frame Chassis drops directly into a Mazak / Mazatrol / Mitsubishi o Control Systems.